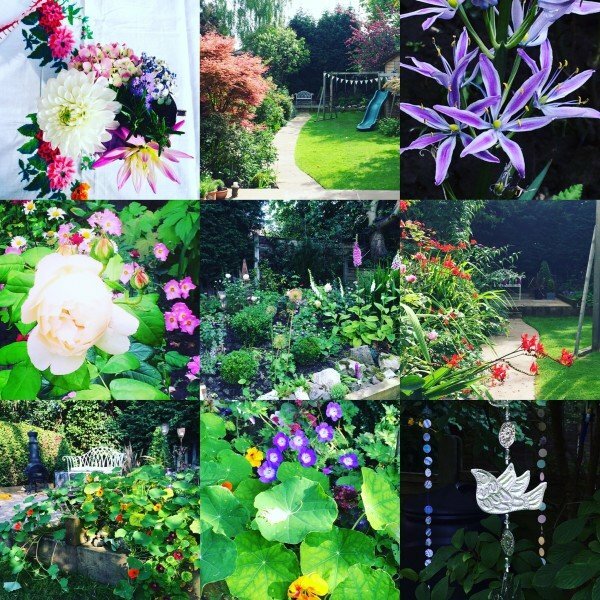 I have found myself looking back over photos of 2015 and I’m pleased that I started making a little camera album of the Garden. We are very fortunate in this part of the North West, although we have had a huge amount of rain, we have not suffered the dreadful flooding that so many people have endured. When the rain has stopped falling, the mild temperature have beckoned invitingly to have a wee pootle in the flower beds. But it is far too soggy to venture out and as quickly as the wellies and garden gloves have been donned, the clouds darken and the skies open. So instead I have had enjoy looking back at the photos and perusing new garden books from Christmas. My pressies were very garden themed. I was delighted. 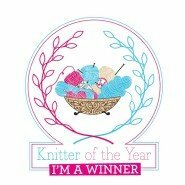 I have to say that I had a bit of an inkling. While we were purchasing our gorgeous Christmas tree from our local garden centre, Little B dragged me over to a collection of beautiful galvanised watering cans. ‘What would you think Mummy, if you were ever choosing a watering can, would you think blue or pink? Just asking out of interest really’. Your garden is magnificent! 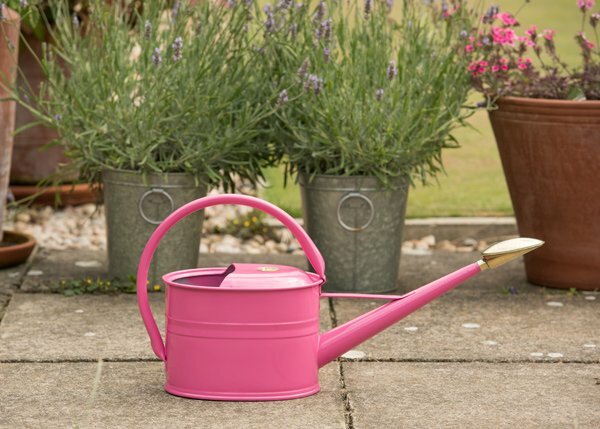 And a pink watering can, how perfect!